The Dave Parker 39 Foundation is a non-profit organization focused on finding a cure for Parkinson's disease in our lifetime, and to make life better for those living with the disease today. Let's make tomorrow better than today! Our Mission: TO EDUCATE TODAY'S YOUTH ABOUT PARKINSON'S DISEASE THROUGH RESEARCH, EDUCATION, AND URBAN OUTREACH. PARKINSON'S DISEASE IS THE SECOND MOST COMMON NEURODEGENERATIVE DISEASE IN THE UNITED STATES, AFFECTING APPROXIMATELY ONE MILLION PEOPLE. PARKINSON'S DISEASE IS A BRAIN DISORDER THAT ATTACKS CELLS WHICH CONTROL MOTOR FUNCTIONS. AFTER DIAGNOSIS, INDIVIDUALS SUFFERING FROM PARKINSON'S DISEASE OFTEN SEE A DRAMATIC DECLINE IN THEIR MOTOR SKILLS, AND CAN LIVE WITH THE DISEASE FOR MORE THAN 20 YEARS. 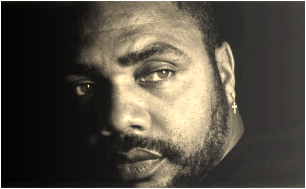 The Dave Parker 39 Foundation, Inc., will provide the community with education resources about Parkinson's Disease to improve quality of life for individuals living with the disease; to promote healthy living in youths as well as senior citizens. The proceeds will go to the National Parkinson Foundation to help research needed to advance the treatment of Parkinson's Disease, and assist in finding a cure for the disease. Research has proven that a strong, healthy mind and body will help reduce symptoms. Therefore, to help raise awareness about Parkinson, the Dave Parker 39 Foundation will provide educational programs that promote healthy living for the community. Contributions to the Dave Parker 39 Foundation can be made by clicking on the "Donate" button, below left.